Jewish Calendar Creation for the Coming Year: 2019! Sing Me a Yiddishe Lid! Timing:​ Chugim take place during the last hour of Shabbat School: 11am - 12pm on the first and third Saturdays. ​​Registration is required, and participation at all sessions is ideal. Register for Fall Chugim Now! 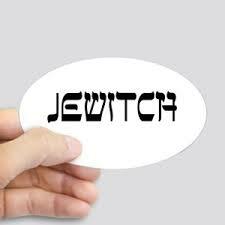 In this chug we will create our own Jewish Calendars for the year of 2019 (yes, that's right, the Gregorian year...). 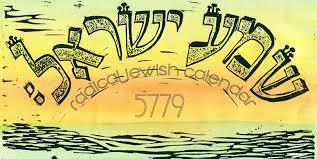 We are going to have a condensed version of "Living the Jewish Year" that starts in January and ends in December. We will be finished creating in time for you to use it in your life: To hang on the wall or have in your backpack! We will use lots of different materials to beautify each month with imagery inspired by Jewish holidays and rad happenings. 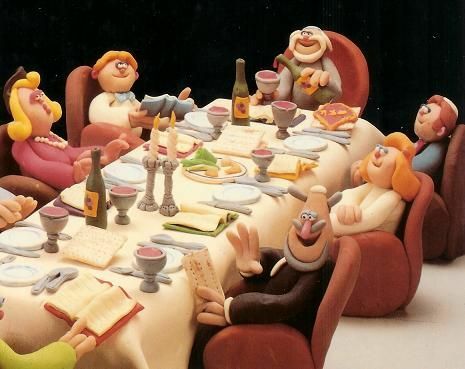 Our goal will be to have a stronger understanding of how the holidays relate to one another and have a way to document our lives Jewishly when we are done! 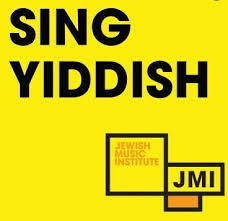 Let's sing together in Yiddish! We will be learning songs from the "Bread & Roses" tradition of Yiddish Labor songs of liberation and resistance as well as the the tradition of Zingeray (singalong), "a kind of song swap where folks get together informally to sing, socialize and nosh" (explains Yiddishist and singer Ethel Raim who Maia was recently learning with at KlezKanada!). The songs have repeated lines that everyone can join in on and anyone with any level of singing or Yiddish experience is welcome! We will be drawing from a few amazing archives of Yiddish music including the Ruth Rubin archives. In short, this is like a history seminar meets a middle school chorus that is actually just your family peeling potatoes in the kitchen! In this chug we will use sensory activities (playdough, water, small figures,etc.) to explore the Torah portion. We will move through the beginning of the Torah with our hands and bodies. We will meet in the gym at St. T's where sensory stations will be set up for young ones and grown ups to move through at their own pace. Kindergarten, Pre-K, Pre-School, & Toddlers, and any and all adults.